Join us for Christmas, there’s carols by candlelight on Sunday the 20th of December at 4pm and a short service at 10:45 on Christmas day. We’ll be celebrating the New Year at Breakfast Club in the village hall on Sunday the 3rd of January. 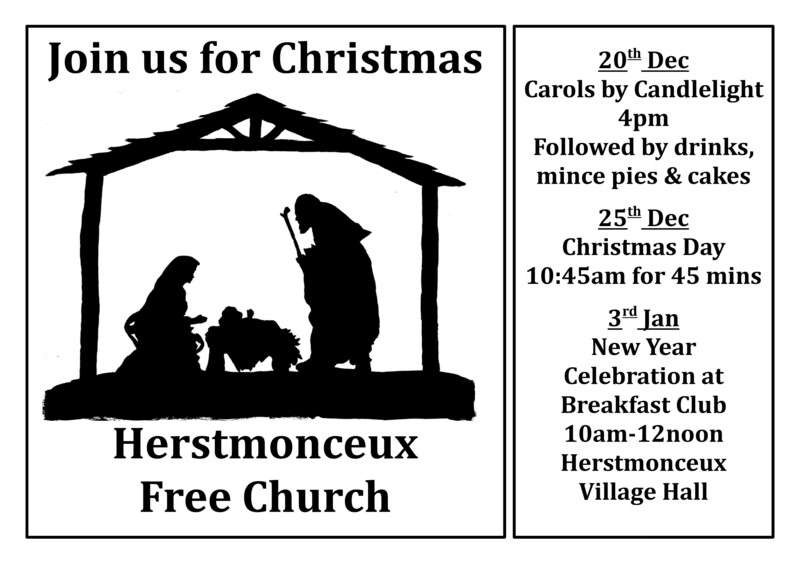 Come along and bring a friend! 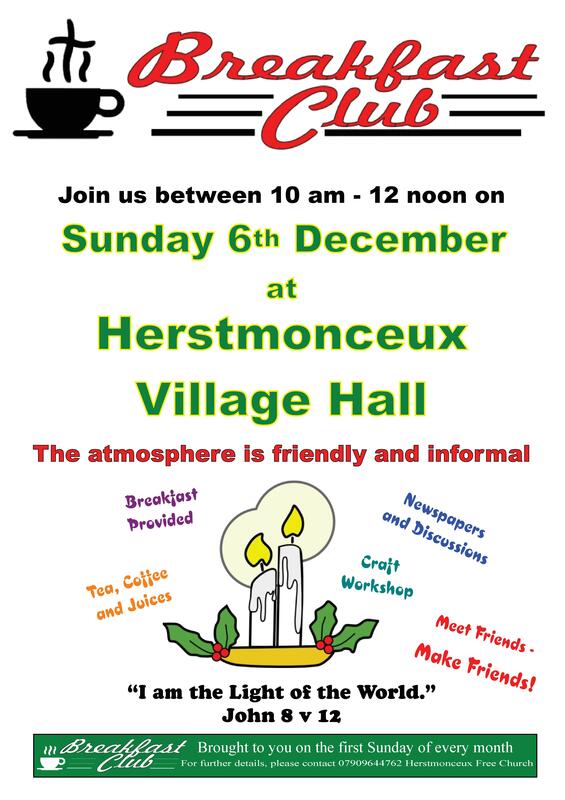 Come along to Breakfast Club on Sunday the 6th of December at Herstmonceux Village Hall. You’ll find a friendly and welcoming atmosphere, free buffet breakfast, newspapers, discussion and crafts. Everyone is welcome, why not bring a friend? 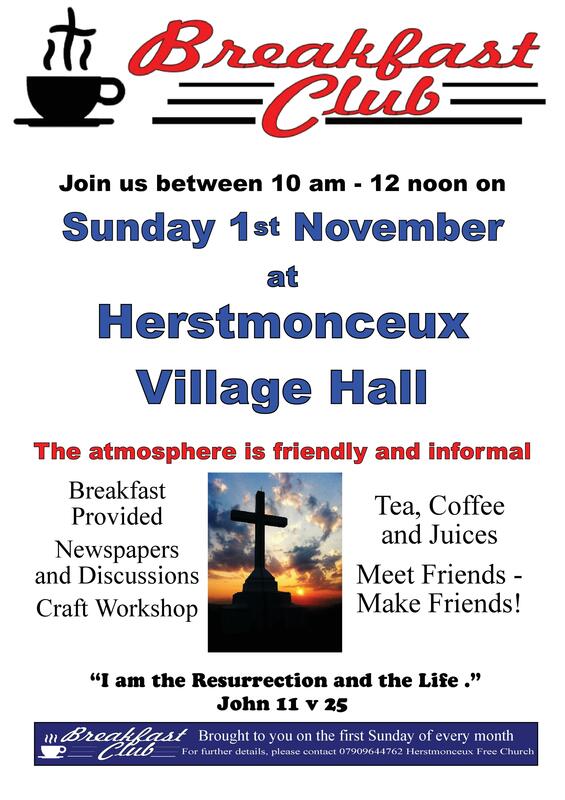 Come along to Breakfast Club on Sunday the 1st of November at Herstmonceux Village Hall. 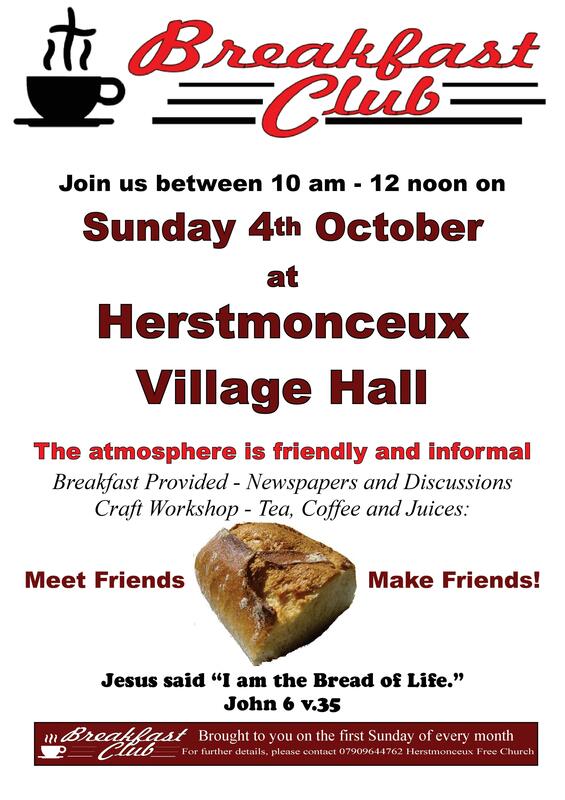 You’ll find a friendly and welcoming atmosphere, free buffet breakfast, newspapers, discussion and crafts. Everyone is welcome, why not bring a friend? 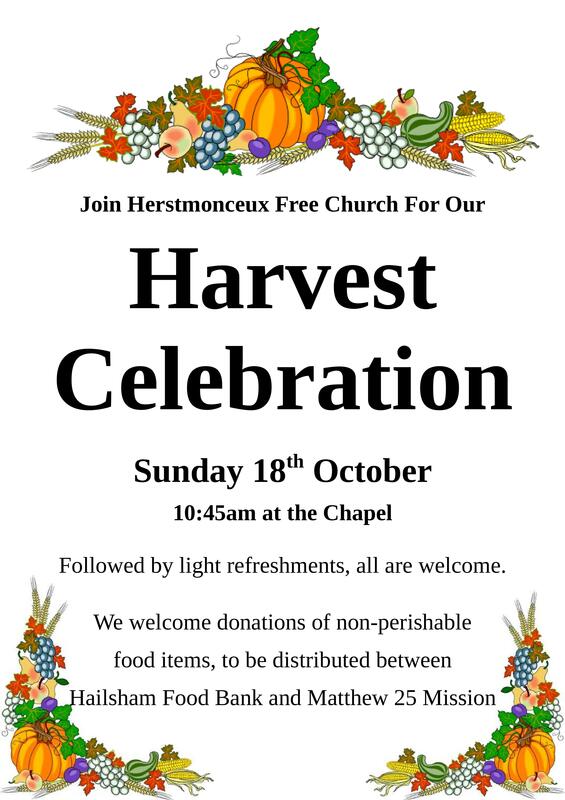 You are invited to our Harvest Celebration on Sunday the 18th of October. We welcome donations of non-perishable food items which will be distributed between Hailsham Food Bank and the Matthew 25 Mission.